2015 : WHAT DO YOU THINK ABOUT MACHINES THAT THINK? Once again, the online magazine Edge has returned to stimulate an exciting intellectual debate of great height, with the annual question that launches on these dates to some of the brightest minds of our time. On this occasion, its brilliant editor John Brockman has raised the challenge of dissecting the lights and shadows of the artificial intelligence (AI): "Do you think about the machines that think?" The responses reflect a wide range of views among some of the great scientists and thinkers of the world today, showing that there is no consensus clear when assessing to what point should celebrate or fear the emergence of thinking machines. At one end are the great American philosopher Daniel C. Dennett, who mocks with much scorn of the "urban legend" according to which "the robots we will dominate" in the near future. On the other are scientists of the stature of the astrophysicist's NASA and Nobel prize winner John C. Mather, who is convinced that the artificial intelligence "will become a reality, and quite soon", taking into account the massive amount of money that is already being invested in this field, and the enormous potential benefits awaiting entrepreneurs who built the first computers with human (or superhuman) intelligence. However, although experts are not based on the time of predict whether much or little time for the era of AI, there is a very broad consensus on the unstoppable advent, sooner or later, this revolution. The reason explains it very well the physicist and Nobel Prize Frank Wilczek, citing the famous "astonishing hypothesis" of the co-discoverer of DNA, Francis Crick: the human mind is nothing more than "an emergent property of matter" and therefore "all intelligence is intelligence produced by a machine" (either a brain formed by neurons or a robot manufactured with silicon chips). As I said in a memorable interview the great Spanish neuroscientist Rafael Yuste: "inside the skull there is no magic, the human mind and all our thoughts, our memories and our personality, everything is based on shots of groups of neurons. There is nothing more, there is a spirit in the ether... There is a great lack of knowledge on how to operate this machine. But I am sure that consciousness arises from the physical substrate which we have on the brain." And so, as the biologist George Church says in his own answer to the question of Edge, "I am a thinking machine, made of atoms." If this is true, the appearance of another type of machine that can also think is only a matter of time. What Do You Think About Machines That Think? Stephen Hawking famously warned in 2010 that based on the history of humankind, an alien, more-advanced civilization would probably destroy us. "We only have to look at ourselves to see how intelligent life might develop into something we wouldn't want to meet," he said. Hawking expressed a similar fear of advanced artificial intelligence (AI) machines. In 2014 he pronounced, "The development of full artificial intelligence could spell the end of the human race." Taken seriously, these two statements could even imply that we should neither search for extrasolar advanced civilizations nor strive for superior AI machines. John Brockman's Edge Question is a major event in the intellectual calendar each year—its roots go back to talks he had with Isaac Asimov and others in 1980. This year's question, "What do you think about machines that think?" 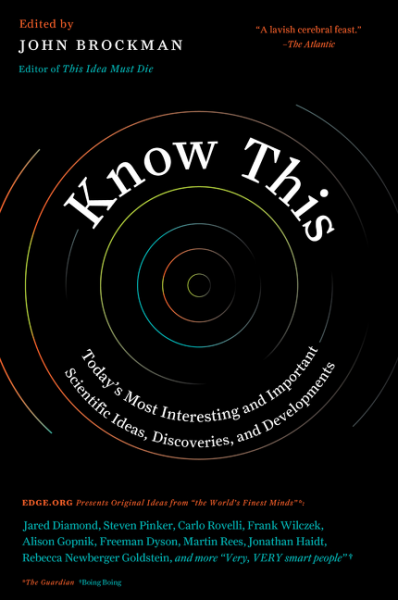 drew essays from Daniel C. Dennett, Nicholas Carr, Steven Pinker, Freeman Dyson, George Church and nearly two hundred other luminaries and Nobel Prize winners. ...[R]ead the whole essay. It’s online now and will appear in a printed book as each of the Edge questions—like “What will change everything?” (2009) and “What is your dangerous idea?” (2006)—has for the last decade. Every January the intellectual impresario and literary agent John Brockman (who represents me, I should disclose) asks a large group of thinkers a single question on his website, edge.org. This year it is: “What do you think about machines that think?” There are lots of interesting answers, ranging from the skeptical to the apocalyptic. Is Your Computer About To Become Your Enemy? "What do you think about computers that think?" The question for 2015 on the prestigious Edge.org site. Each year the site gives the same question to more than 180 intellectuals and publishes their answers in one sequence, later published as a thick book. Respondents ranged from columnists in The New York Times, Nobel Prize winners, best-selling authors, and heroes of the technology world, many of them close friends of the site's colorful editor, literary agent John Brockman. Previously published questions: "What scientific concept has to retire? ", "What tools will improve everyone's thinking?" and "What should we be worried about? ". This year, as mentioned, Brockman called 180 intellectuals to express an opinion on the question Hawking has been talking about. And Disclosure: I was delighted to receive an invitation to participate this year in most of this dialogue, and my response, ordered to be short - even short of this column - for the annual anthology published. Several respondents, including the writer Pamela McCorduck, Italian physicist Carlo Rovelli, Professor Margaret Levi of Stanford University and the Israel Prize laureate and former president of the Weizmann Institute Haim Harari, refer to machines that think as inevitable, and in large measure daily. Interest in human responsibility and proper management like any other field, and material nightmares. More than the machines thinking like people, I am concerned about people who think like machines, writes Harari. Others relate to the very dismissive forecast: Vice President for Research of the George Washington University, Neurobiologist, Leo Chalupa doubts machines will be capable of abstract thought. Science fiction writer Bruce Sterling writes that computers may be major players in the future, but the script will never write people. They further emphasize emotion and will remain forever confined to human beings. 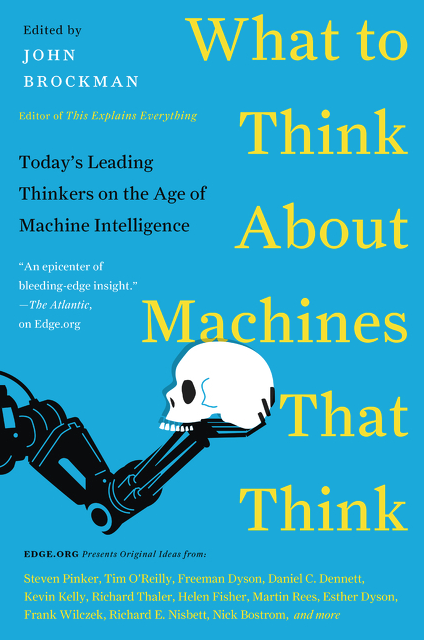 Very big thinkers ponder: "What do you think about machines that think?" Over at BB pal John Brockman's Edge.org, nearly 200 very smart people, like Daniel C. Dennett, Brian Eno, Alison Gopnik, Nina Jablonski, Peter Norvig, and Rodney Brooks, ponder the EDGE Annual Question of 2015: What do you think about machines that think? "What do you think about machines think?" This is the annual question that the digital magazine Edge launches every year around this time, and which it presents to some of the brightest minds on the planet. Just over a month ago, in early December, Stephen Hawking warned of the potentially apocalyptic consequences of artificial intelligence, which in his opinion could eventually lead to "the end of the human species". But really, should we fear the danger of a future army of humanoids out of control? Or rather we should celebrate the extraordinary opportunities that could give us the development of thinking machines, and even sentient beings? Do such beings along with ourselves pose new ethical dilemmas? Would they be part of our "society"? Should we grant them civil rights? Would we feel empathy for them? 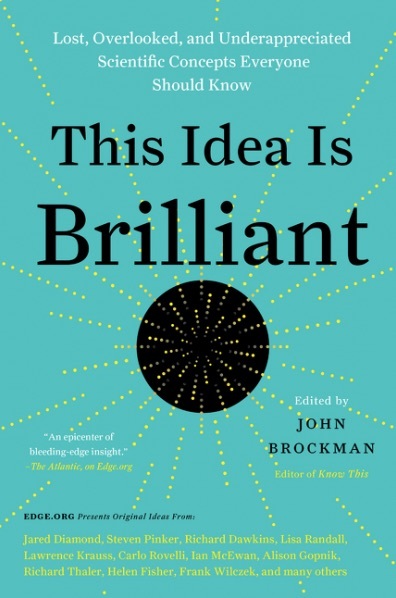 Another year, and some of the most important thinkers and scientists of the world have accepted the intellectual challenge posed by the editor of Edge, John Brockman. This is just a selection of some of the most interesting responses. Edge Q in Il Sole 24 Ore's "Nova"
What do you think of machines that think? Was denken Sie über Maschinen, die denken? John Brockman, curator of the online salon edge.org for current debates on research, has asked 175 renowned experts from, among others, AI research, psychology and brain research: "What should we think of artificial intelligence?" (S. Fischer, 2017). The short essays give a good overview of the current debate and present equally pessimistic and optimistic assessments. Robots are not afraid that some patient will file their claim, do not have to pay student loans from medical studies, do not accumulate savings in the event of a trial. Maybe that's what they need to entrust to our health? Everything you would like to know about artificial intelligence, but you are afraid to ask. The book What To Think About Machines That Think, the excerpts of which we present, are 186 short essays by eminent contemporary representatives of people of science, culture and social life. They make up a wide overview of artificial intelligence. John Brockman, a New York publisher, editor, founder of the Edge.org website and think tank, has been asking the most interesting minds in the world of science and art for more than 20 years, asking for innovative, original answers. 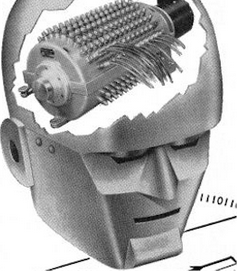 John Brockman's Book on Thinking Machines: What Should We Keep From Artificial Intelligence? He has brought together scientists and artists from around the world to bring readers' insights, thoughts, and predictions about artificial intelligence: In a book about brainstorming and learning computers, John Brockman summarizes the state of the discussion. It is one of the topics about which science and now also society have been discussing, researching, and arguing for decades: Artificial Intelligence. But it begins with the concept. Is not it better to call "designed intelligence"? Because unlike intelligence in humans, an "intelligent" program of a computer has been deliberately designed and created in a certain form. This is one of the suggestions that finds itself in a book that is as stimulating as it is entertaining by John Brockman, which is now available in German: "What do we think of artificial intelligence?" ...[W]ith the culmination of decades of progress in building advanced computing devices and machine learning putting the world on the cusp of true AI, the ground is finally fertile for philosophers, scientists and all manner of other experts and thinkers to jump into the discussion with their own vision of the future of the thinking machine. Brockman currently runs the ‘online science salon’ edge.org (which The Guardian once called “the world’s smartest website”). The Edge Question, which he poses every year to his extended network of exceedingly intelligent friends and clients, is a simple, direct question that seeks to push the boundaries of understanding on a burning scientific issue. Book excerpt: Will artificial intelligence spell the end of humanity? Hawking says the primitive AI we’ve known to date — the kind that switches on the air-conditioning before you get home from work — is useful enough. But he fears the next stage, when intelligent, thinking machines can independently improve themselves and begin to determine their own destinies. Will that ability exceed humans’ ability to contain it? What then? Where will humans fit into an AI world? Will the robots have any use for us? Why should AI scare us? Let’s compare natural vs. artificial intelligence, using Edge’s 2015 big question: What to think about machines that think? When Ada Lovelace and Charles Babbage invented the world’s first computer, their “Analytical Engine” became the evolutionary progenitor of a new class of human extensions — machines that think. A generation later, Alan Turing picked up where they left off and, in laying the foundations of artificial intelligence with his Turing Test, famously posed the techno-philosophical questionof whether a computer could ever enjoy strawberries and cream or compel you to fall in love with it. From its very outset, this new branch of human-machine evolution made it clear that any answer to these questions would invariably alter how we answer the most fundamental questions of what it means to be human. 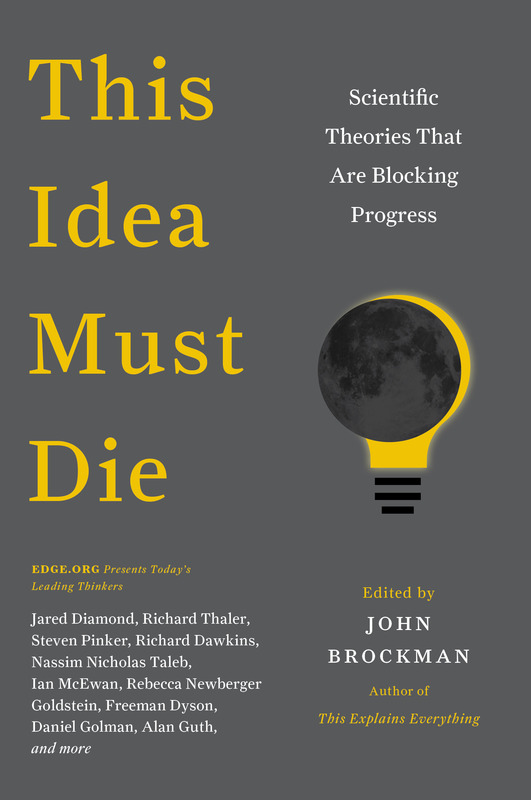 With This Idea Must Die (2015) barely off the presses, Brockman, editor of the online science salon Edge.org, asked the world's intellectuals for another opinion. They deliver in the latest of the editor's thick compendiums. A satisfying experience for readers looking for thoughtful answers to big questions. Can We Avoid a Digital Apocalypse? A response to the 2015 Edge question. But our view grows out of our observations of organizational applications available today. What about in the future? For well-informed prognostication, it’s helpful to turn to the brain trust at Edge.org. Each year, Edge.org publishes essays from thinkers, scholars, and researchers on a question related to a hot topic in public and academic discourse. This year’s question was, “What do you think about machines that think?” It prompted 186 respondents to write more than 130,000 words total. The world continues its path as technology advances and some futurists have been making bets that seem incredible about what we will achieve in the not too distant future. Futurist Ray Kurzweil, for example, believes that by 2040 artificial intelligence will be so good that the humans will be completely immersed in the virtual reality that, when technology becomes advanced enough to change the human race irreversibly something will happen called Singularity. Kevin Kelly, who helped launch Wired in 1993, believes the next 20 years in the field of technology will be radical.Therefore, according to him, technological advances will make the past 20 years "pale" in comparison. Kelly points out that if you send to the past with a time machine, even if they were only 20 years, and we counted the people we have now and what we'd have time on mobile devices: a free encyclopedia and street maps of most cities in the world, pictures of real-time scores and stock quotes, weather reports, PDF files of all books in the world, etc . ; simply call us crazy. "There is a feeling that everything important has already happened, but relatively speaking, nothing important has happened yet. In 20 years we'll look back and say that not much has happened in the last 20 years. " 2018 : WHAT IS THE LAST QUESTION? 2017 : WHAT SCIENTIFIC TERM OR CONCEPT OUGHT TO BE MORE WIDELY KNOWN? 2016 : WHAT DO YOU CONSIDER THE MOST INTERESTING RECENT [SCIENTIFIC] NEWS? WHAT MAKES IT IMPORTANT? 2014 : WHAT SCIENTIFIC IDEA IS READY FOR RETIREMENT? 2013 : WHAT *SHOULD* WE BE WORRIED ABOUT? 2012 : WHAT IS YOUR FAVORITE DEEP, ELEGANT, OR BEAUTIFUL EXPLANATION? 2011 : WHAT SCIENTIFIC CONCEPT WOULD IMPROVE EVERYBODY'S COGNITIVE TOOLKIT? 2010 : HOW IS THE INTERNET CHANGING THE WAY YOU THINK? 2009 : WHAT WILL CHANGE EVERYTHING? 2008 : WHAT HAVE YOU CHANGED YOUR MIND ABOUT? WHY? 2007 : WHAT ARE YOU OPTIMISTIC ABOUT? 2006 : WHAT IS YOUR DANGEROUS IDEA? 2005 : WHAT DO YOU BELIEVE IS TRUE EVEN THOUGH YOU CANNOT PROVE IT? 2004 : WHAT'S YOUR LAW? 2002 : WHAT IS YOUR QUESTION? ... WHY? 2001 : WHAT QUESTIONS HAVE DISAPPEARED? 2000 : WHAT IS TODAY'S MOST IMPORTANT UNREPORTED STORY? 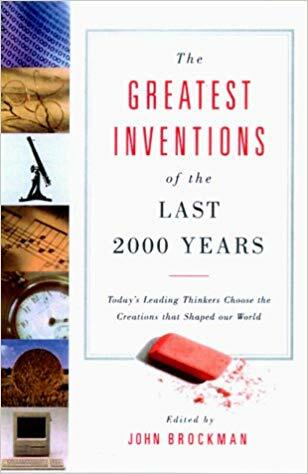 1999 : WHAT IS THE MOST IMPORTANT INVENTION IN THE PAST TWO THOUSAND YEARS? 1998 : WHAT QUESTIONS ARE YOU ASKING YOURSELF?